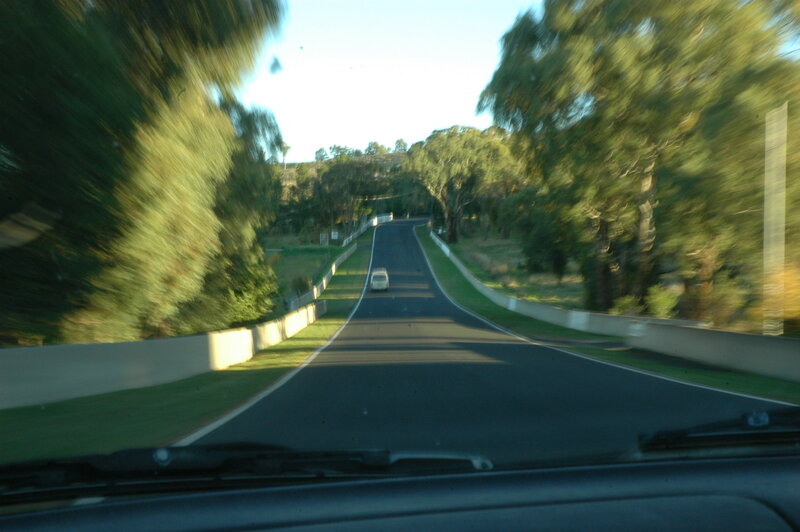 Bathurst’s Mount Panorama on a non-racing day. Could this be the site of an enviro-friendly electric car race? When I was a small child, Dad told me about the Bluebird, the fastest car in the world. In 1964, driver Donald Campbell broke the land speed record when his sleek bright blue car zipped across Lake Eyre at 403.10 miles per hour (or 648.73 kilometres per hour). Donald Campbell died in a spectacular crash in 1967, but his extended family, based in Surrey in the UK, has not dropped its love of speed. The Bluebird has now gone electric, and will compete in the Formula E (as in, Formula Electric) races that will begin in ten major cities around the world in 2014. For many people, the idea of an electric car race is associated with the creeping speeds of the solar-powered cars cobbled together by university departments. But Formula E is a game-changer: it’s about serious speed in serious battery-powered cars. The Formula E championship will be held under the rules of the official Formula 1 governing body, the FIA. Sponsors include Michelin and Renault. Meanwhile, a new land speed record for electric cars has just been set by the UK’s Lord Drayson, CEO of Drayson Racing Technologies and a former Labour government minister. He was behind the wheel of his Lola B12 69/EV, when he achieved a top speed of 204.2 miles per hour (328.603 kilometres per hour) on a racetrack at RAF Elvington in Yorkshire, on June 25. Drayson’s car is a modified Le Mans vehicle weighing less than 1000kg to conform to FIA standards. Electric cars are getting faster and more popular. The technology is evolving fast, making this an exciting time for this particular motorsport. So what are we waiting for? Bathurst is on the international map as a car racing destination. We could have a flagship race that symbolises both tradition and the future. It goes without saying that it could be a major international tourist attraction and welcome boost to the regional economy. The field is moving fast, with locations being scouted and sponsors being wooed. It may be that Formula E is not suitable for Bathurst – some other category could be more suitable, or, like the early days at Mt Panorama, an all-in race could be fun – but there must be something we can be doing in this space. If we don’t, we could be left behind in this particular race into the future. Tracy Sorensen is the Treasurer of Bathurst Community Climate Action Network. This is the text of a column piece submitted to the Western Advocate, Bathurst’s daily newspaper. This entry was posted in Bathurst, Bathurst Community Climate Action Network, journalism, Mt Panorama and tagged Bathurst, Bluebird, Mt Panorama on July 3, 2013 by Tracy. Very interesting. I did not realize development was going swell. terrific! what an opportunity for Bathurst. Maybe the Flannery Centre could work on getting Formula-E here!